See below for general questions, returns, contact info, etc. Questions? We’ll help you out! We keep your personal information private and secure. When you make a purchase from our site, (we use Mijireh for our payment gateway, which provides a secure and PCI compliant ecommerce platform for collecting and transmitting credit card information) you provide your name, email address, credit card information, address, phone number, and a password. We use this information to process your orders, to keep you updated on your orders and to personalize your shopping experience. Your receipt of an electronic or other form of order confirmation does not signify our acceptance of your order, nor does it constitute confirmation of our offer to sell. Flying Dutchmans reserves the right at any time after receipt of your order to accept or decline your order for any reason. We accept the following Payment options thru our fully secure PCI compliant gateway Mijireh: StripePayments & PayPal: Both of which allows you to use a Visa, MasterCard, or Discover card for payment. There is no extra surcharge for using either options to make purchases. Please be sure to provide your exact billing address and telephone number (i.e. the address and phone number your credit card bank has on file for you). Incorrect information will cause a delay in processing your order. Your credit card will be billed according to each payment service providers policy, etc. Shipping Times — Flying Dutchmans. Online ships to all 50 United States via USPS. Shipping is calculated directly from USPS based on your zip code and the number of items ordered. We do not ship International orders at this time.Most in stock orders will ship within two business days, provided the product ordered is in stock. Custom orders will be shipped 2 weeks from when order was placed.Orders are not processed or shipped on Saturday or Sunday, except by prior arrangement.We cannot guarantee when an order will arrive. Consider any shipping or transit time offered to you by Flying Dutchmans only as an estimate. We encourage you to order in a timely fashion to avoid delays caused by shipping or product availability. We will ship your product as it becomes available. Usually, in stock products ship within two business days, or by the next business day if your order is received after this time and for orders received on Saturday, Sunday or any major holiday. However, there may be times when the product you have ordered is out-of-stock which will delay fulfilling your order. We will keep you informed of any products that you have ordered that are out-of-stock and unavailable for immediate shipment. You may cancel your order at any time prior to shipping. For a multiple product order, we will ship all products contained in the order at the same time. Products that are unavailable at the time of shipping will be shipped as they become available, unless you inform us otherwise. You will only be charged for products contained in a given shipment, plus any applicable shipping charges. You will only be charged for shipping at the rate quoted to you on your purchase receipt. The entirety of this shipping charge may be applied to the first product(s) shipped on a multiple shipment order. Return accepted within 365 days. Are we crazy? No, that’s not a typo; if you are not completely satisfied with your Flying Dutchmans online purchase & it remains in its unused / unwashed condition, then please send the return item(s) within 365 days from the date you received the shipment. Please include the original tags (still attached) and the original receipt. We will happily exchange the item(s) for another or apply a complete refund with your billing name and information. Exchanges are dependent on existing stock. Item(s) must be unused and unwashed in original packaging. Refunds are issued in form of how purchase was paid. Please note that we cannot refund any shipping charges or handling charges. Sale item(s) are Final. If you would like to change or cancel an order, please email sales@flyingdutchmans.com as soon as possible. We will try to accommodate your request but please understand that our order and shipping systems are designed to get orders on there way quickly and efficiently. Therefore, we cannot change or cancel an order once it has entered the shipping process. Please contact us before you send the Return or Exchanged item(s) so that we can check inventory and answer all questions. Example: Flying Dutchmans Return/Exchange Order # (your order number). Fulfillment mistakes that we make resulting in the shipment of incorrect product to you will also be accepted for return 30 days from the date of purchase. In the event a product is listed at an incorrect price due to typographical error, Flying Dutchmans shall have the right to refuse or cancel any orders placed for product listed at the incorrect price. Flying Dutchmans shall have the right to refuse or cancel any such orders whether or not the order has been confirmed and your credit card charged. 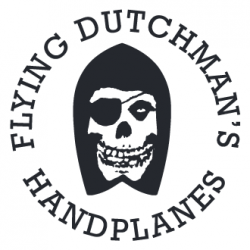 If your credit card has already been charged for the purchase and your order is canceled, Flying Dutchmans shall immediately issue a credit to your credit card account in the amount of the incorrect price. Unless otherwise specified, all materials appearing on this site, including the text, site design, logos, graphics, icons, and images, as well as the selection, assembly and arrangement thereof, are the sole property of this Store. Flying Dutchmans, Copyright © 2012, ALL RIGHTS RESERVED. You may use the content of this site only for the purpose of shopping on this site or placing an order on this site and for no other purpose. No materials from this site may be copied, reproduced, modified, republished, uploaded, posted, transmitted, or distributed in any form or by any means without our prior written permission. All rights not expressly granted herein are reserved. Any unauthorized use of the materials appearing on this site may violate copyright, trademark and other applicable laws and could result in criminal or civil penalties. These Conditions will supersede any terms and/or conditions you include with any purchase order, regardless of whether Flying Dutchmans Online store, signs them or not. We reserve the right to make changes to this site and these Conditions at any time.